Did you know there is a lead animal on the carousel ? It has it’s head up, like this horse. 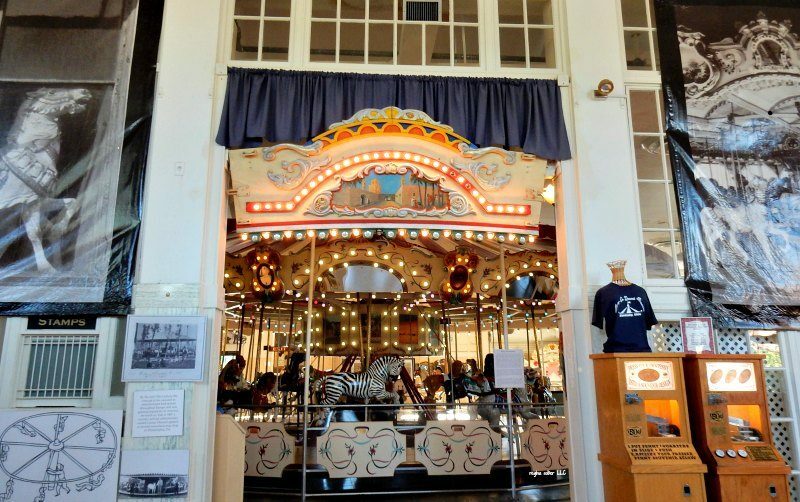 Who knew in 1988 when the United States Post Office issued 4 carousel stamps, it would turn into a Merry-Go-Round Museum happening in Sandusky Ohio? One of the horse from the Kiddleland carousel from Cedar Point was featured on one of the stamps and a celebration was held in Sandusky at the old post office building. Because of the interest in the carousel (2,000 people attended the event) Soon after the event, plans were made to form a non-profit merry-go-round museum that now resides at that same post office building that the celebration was in, in downtown Sandusky. 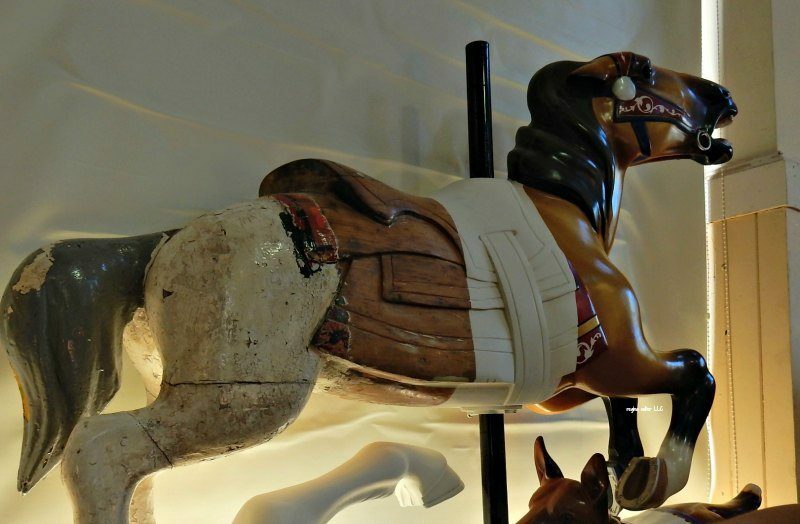 Stepping inside the old post office, you see beautiful carousel animals beautifully carved. You can still see the buildings history too The window (over on the left of this photo), is there where you could buy stamps and mail letters. Look at the marble floor and see the wear, from years of people standing. Walk a little farther through the large doorway to the right, you see the beautiful carousel lite up and ready to take a spin. 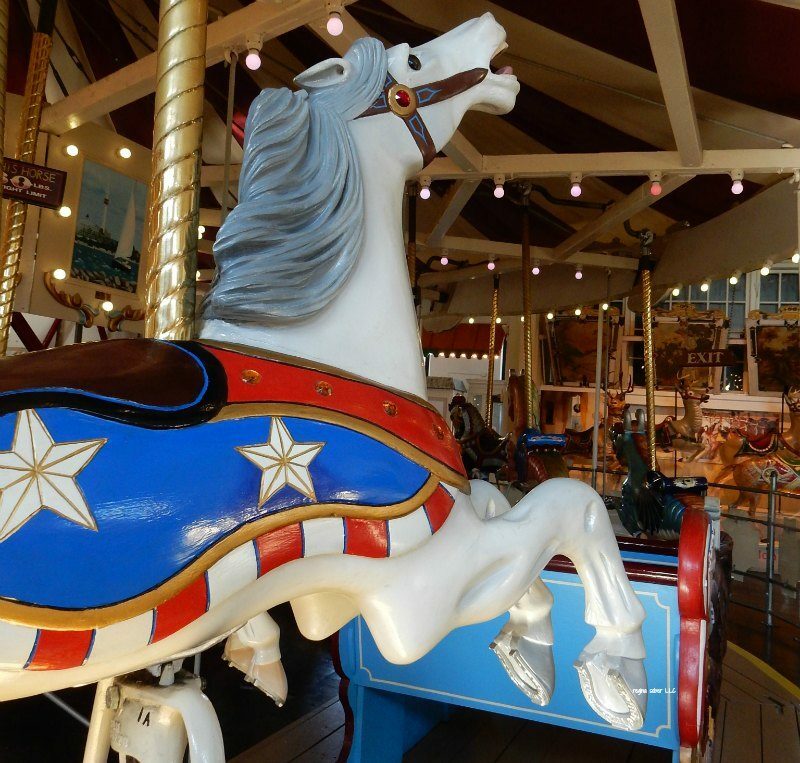 The phrase “Grab the brass ring” came from riding the carousel. 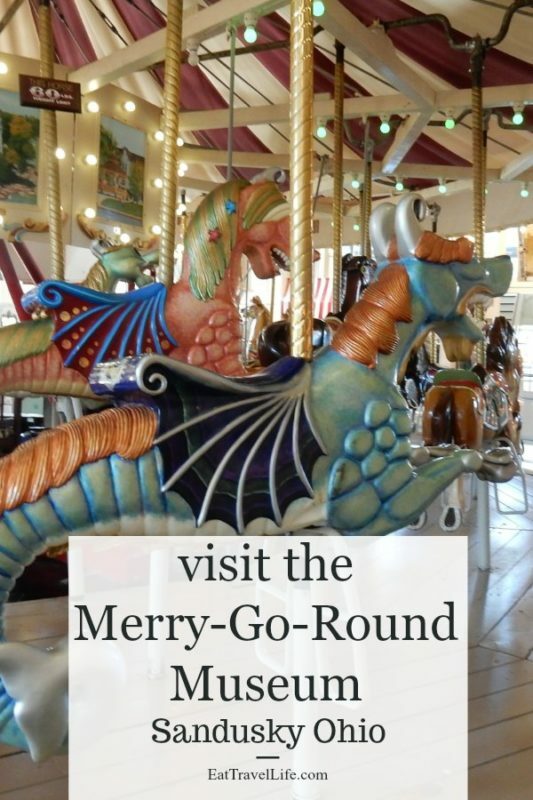 Did you know the term grab the brass ring referred to merry-go-rounds? It does! There would be an arm that you would pass by and if you were able to grab the ring, you’d get a free ride. 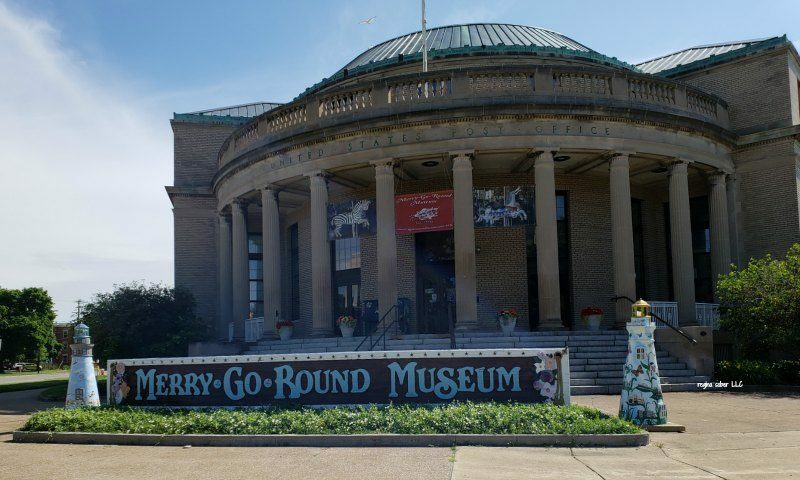 Located in downtown Sandusky Ohio, you will find the Merry-Go-Round Museum. 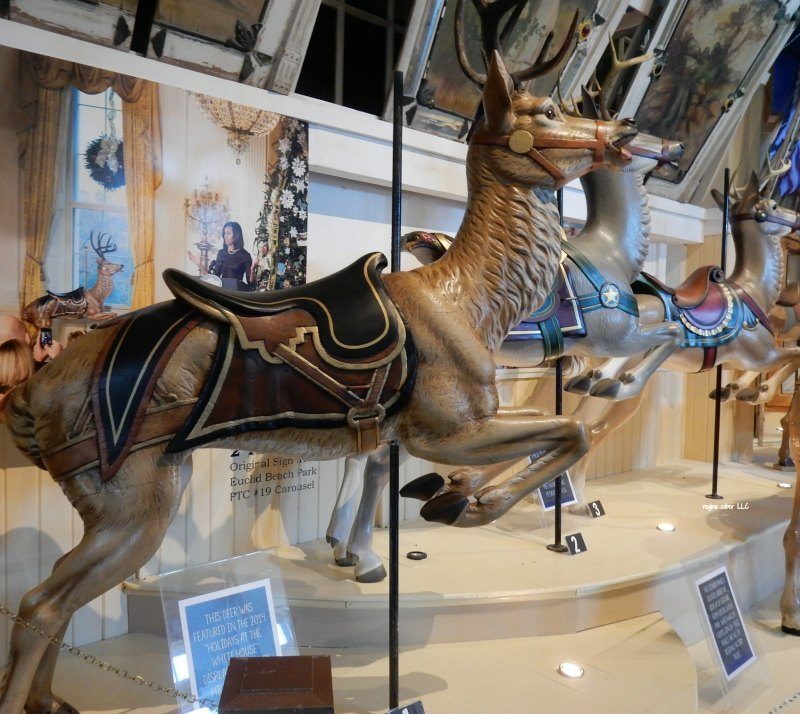 It is filled with several different types of carousel animals that are beautifully carved. There is also a working carousel! 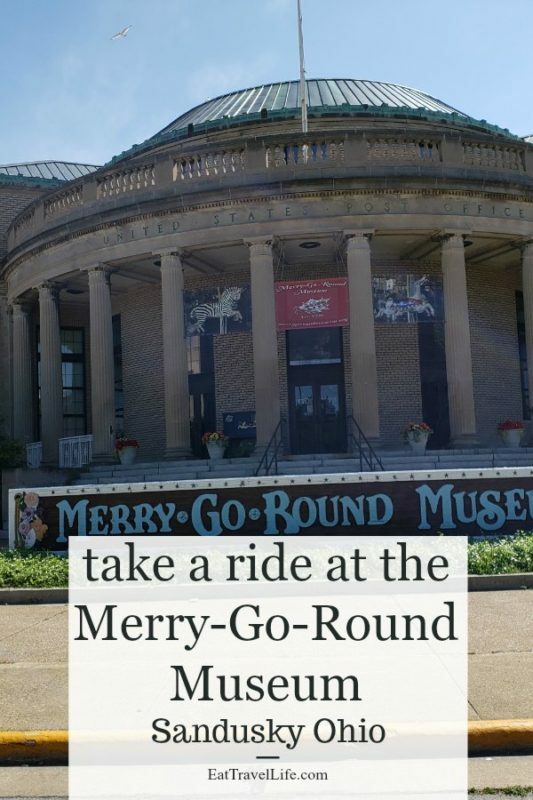 Your admission gets you a token to take a spin on this beautifully restored merry-go-round. You will want to visit the museum more than once. They have difference pieces that are on display and they are changed out from time to time. When we visited, they had reindeer. Some of them had been on display at the White House during President Obama’s administration. Also on display are older animals, some from other countries. 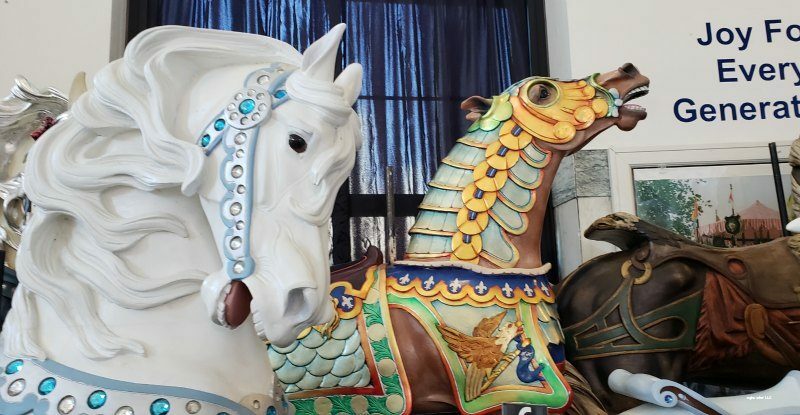 Did you know that carousel animals have a good side? They do! The side you see from the outside, is the one that is ornately decorated. The other side is plain. 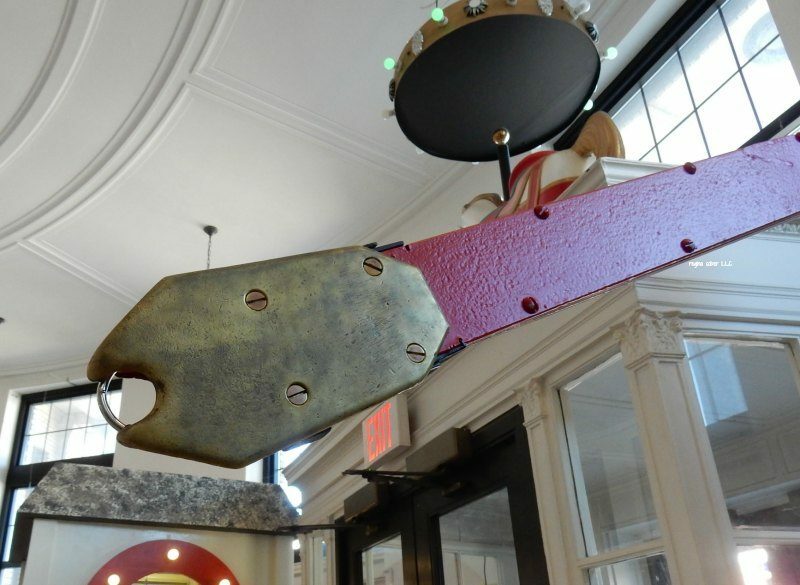 On display, the museum shows how the restoration process happens. 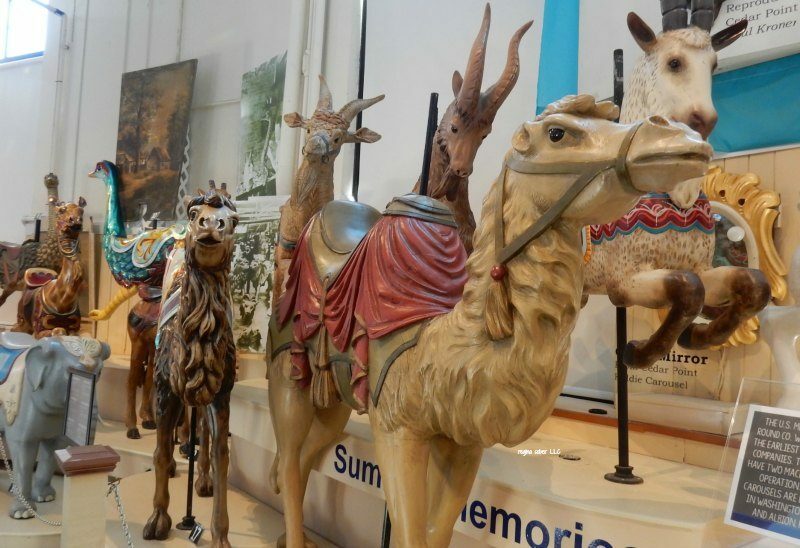 Less skilled carvers for carousel animals, started at the rear of the animal because there are fewer details at the rear. As their skills improved, they move farther forward on the horse. The most skilled carvers work on the head of the animal. The carvers were able to show off their skills, like on these horses above. Fun Fact: Did you know there is a front of the carousel? The front has the lead horses head up. That helps the ticket taker, know where they started collecting tickets of the passengers. This is a destination that your entire family will love to explore. Be sure to take your ride on the carousel too!